For 53 years, audiences everywhere have been gluing their eyes to a TV to celebrate America’s unofficial holiday: The Super Bowl. This past Sunday, many of us sat down with a beer in hand and plate of nachos (or party food of choice) in the other to watch the year’s biggest show. Unlike any other televised event, taking breaks during the Super Bowl is a challenge as every part of the 4-hour occasion is carefully calculated to keep viewers interested; the final game of the year, the star-packed halftime show and even the commercials themselves. Whether it be the Budweiser Frogs or the Britney Spears Pepsi Generation, chances are we all have a favourite Super Bowl commercial. And in the spirit of competition (it is a sporting event, after all), the world’s biggest brands utilize humour, human connection and/or star power to create something memorable that stands out from the crowd. A 30-second time slot during the event – or should we call it the Partiots’ Show (sorry, not sorry) – currently goes for a cool $5 million, and that doesn’t include production costs. So, the question on everyone’s mind, is it even worth the price? In short, yes. With well over 100 million viewers tuning in, more people watch the Super Bowl than the year’s biggest blockbuster film (which can credit much of its sales to its trailer airing during the game). Advertising during the Superbowl is a chance to have your product or service noticed by the world at one time, and even more so if its memorable. Being on the world’s stage gives you a unique opportunity to tell the viewers, all hundreds of millions of them, something they don’t know, and the ones that have the most return on investment are those that promote a new product, such as movie trailers. While Coca-Cola or Pepsi sales might not spike immediately after the event, opting out of the event while competitors maintain their spot could prove catastrophic for the top dogs. One of the most memorable ads in Super Bowl history is also one of the simplest. Airing during the event in 1980, the minute-long add depicts Pittsburgh Steelers star Joe Greene as he leaves the field with an injury, only to be stopped by a young boy who wants to tell him what a fan he is. 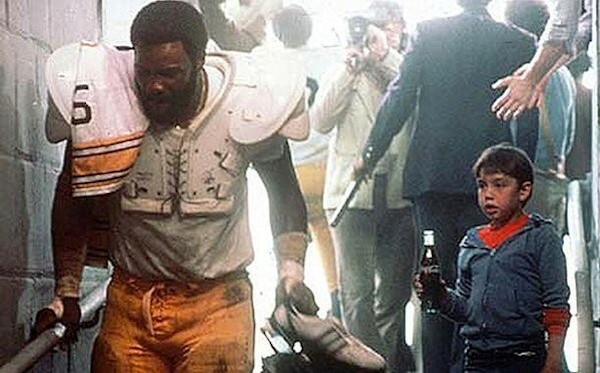 In an attempt to cheer him up, the boy offers Joe his Coke, and as he turns away, Joe utters the famous line, “Hey kid, catch!” and throws him his Jersey. Emotional connection may be all too common in modern commercials, but the concept was fairly new in the early 80s. People were able to relate to the ad, seeing themselves in the shoes of the young boy. IN fact, the commercial was so popular, the concept was turned into a movie titled The Steeler and the Pittsburgh Kid. “I’m on a horse.” Don’t even pretend you don’t remember that line. This more recent ad is still quoted to this day and is remembered for its sheer ridiculousness. 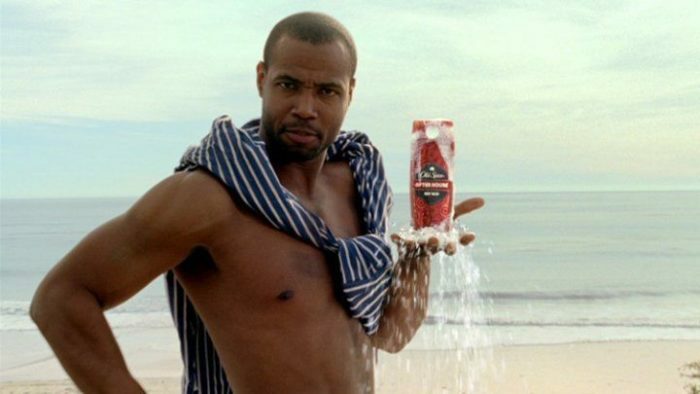 However, the reason it’s still so popular is how closely it resembles today’s social media “meme culture.” The ad instantly becomes relatable to younger audiences, which happens to be exactly who Old Spice is targeting. The use of humour and obscurity make this one that won’t be forgotten any time soon. This 30-second spot is often hailed as the best Super Bowl commercial of all time. Deciding to take a more controversial route, Apple chose to reveal its new Macintosh computer (remember, the best ones are those that reveal something new), by playing on George Orwell’s famed novel 1984, suggesting the product breaks the mold of convention and rises above the rest. The most impressive element? Apple didn’t even show the product, they simply chose to announce it’s reveal date. This element of curiosity left viewers wanting more. Apple shattered the glass ceiling on conventional commercials, paving the way for a new generation of ads to push the envelope. The result? Well, we all know what a successful company Apple is today, don’t we? They’ve never been afraid to stand out, push past convention, allowing them to become the most innovative brand in history. Create an emotional connection with your audiences. Let them connect with your brand on a deeper, more personal level. A little controversy pushes the envelope but be respectful. You don’t want to be remembered for the wrong thing. Developing a memorable ad is an exciting challenge, but a challenge, nonetheless. It takes a lot of planning and creativity, but it doesn’t have to be expensive. With the right team, developing an ad can be efficient and effective. Whether its print or video, the right strategy and design can make all the difference, and that’s what we’re here for. Need help creating something great? Give us a call.